Dry, dead fronds burn very readily. 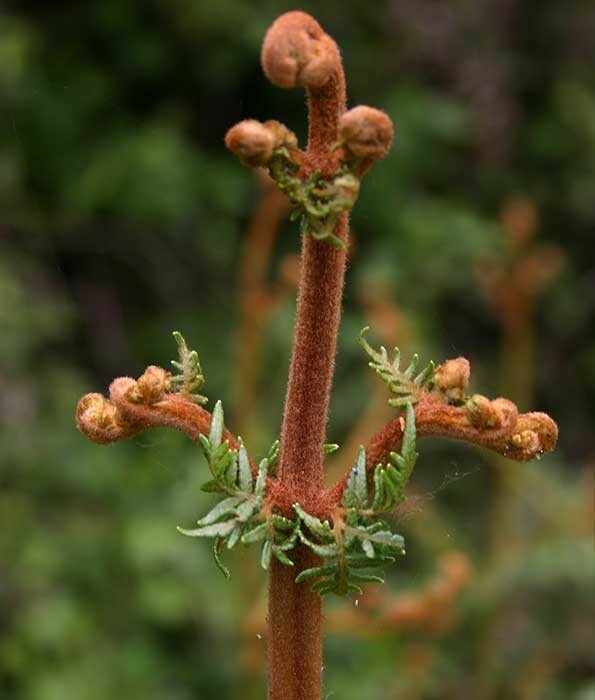 Pteridium esculentum rapidly increased in area in New Zealand as early humans cleared and burned forests and it is now common throughout the country in open habitats. Bracken spores are very small and are released between late summer and autumn They can be carried for considerable distances on air currents. Dry bracken stalks have multiple uses as play things, from arrows to kite structures. Bracken uses valuable soil nutrients for growth and these nutrients are locked up in the fronds until they eventually break down. Bracken contains carcinogens that can cause cancerous lesions in livestock. 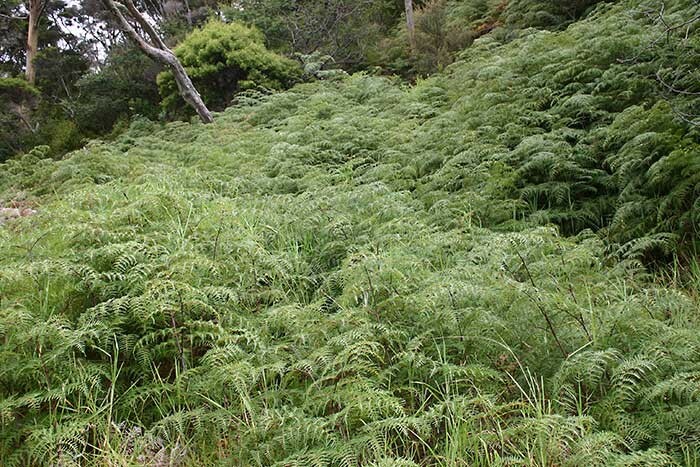 Bracken competes strongly with young trees and is also a fire risk. Bracken commonly grows in poorer grazing land, therefore, its control may not be economically feasible. Repeated mowing or crushing can be used as control measures. However, where bracken grows on steep hillsides this may not be practical. Establishment of new competitive pasture species, suited to local conditions, can be used after initial clearance of fern, and may, if adequately limed and fertilised, help to prevent reestablishment. Trees can form a dense canopy and shade out bracken but the trees must be protected from bracken when young. No biological control agents are available for either species. Massey University Weeds Database 2014. 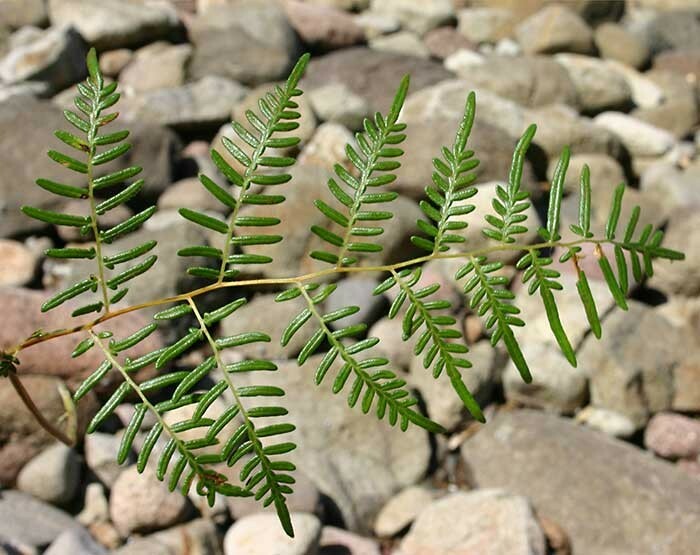 Bracken: Pteridium esculentum (accessed 19 May 2015). McGlone MS, Wilmshurst JM, Leach HM 2005. 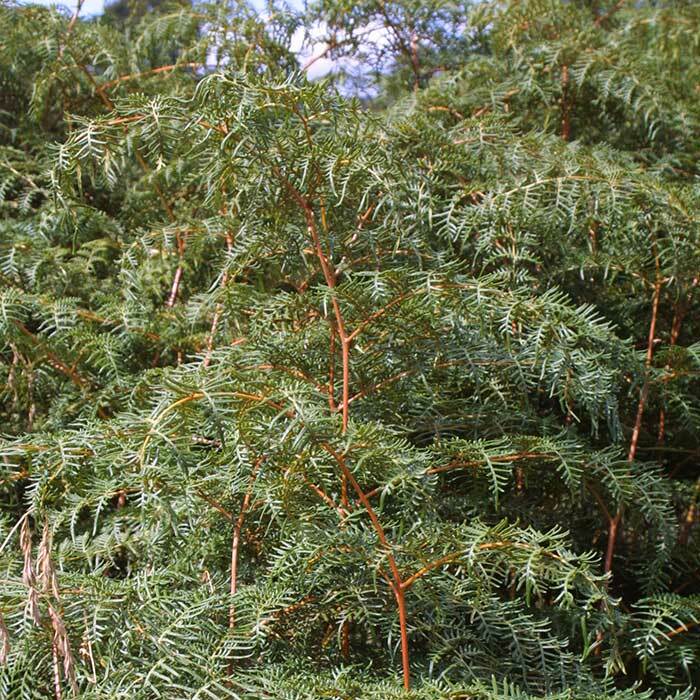 An ecological and historical review of bracken (Pteridium esculentum) in New Zealand, and its cultural significance. New Zealand Journal of Ecology 29: 165-184.